The Labrador Retriever was developed in England in the mid 1800s by a handful of private kennels dedicated to developing and refining the perfect gundog. That many such kennels were pursuing their own vision of such a dog is the reason behind the variety of today’s retriever breeds. It’s fairly clear that there were no indigenous dogs in Newfoundland when the first fishing companies arrived. If the native Americans of the time had any, the explorers never observed them. Thus it’s quite likely that the St. Johns dogs themselves come from old English Water Dog breeds, insofar as fishermen were the primary people on Newfoundland for centuries. There is also some speculation that the old St. Hubert’s dog might have been brought over as well — illustrations of the breed show a black, drop-eared dog with a certain resemblance to the Labrador. But it is unknown if the fishermen going to Newfoundland would have had hound dogs used for game rather than water dogs. We can only speculate what happened, but we do know that the cod fishermen sent out from Britain practiced “shore fishing.” Small dories were used for the actual fishing, and they worked in teams of four — two in the boat and two on the shore to prepare and cure the fish. They would have needed a small dog to get in and out of the boat, with a short water repellent coat so as not to bring all the water into to the boats with them. They would have bred for a strong retrieving instinct to help retrieve fish and swimming lines, and a high degree of endurance to work long hours. If the runs were heavy, the fishermen were reputed to go for as long as twenty hours to haul the fish in. safely their stoutly made frames amid the breakers of the ocean. The exact relationship between the two varieties of the St. Johns dog (and some 19th century writers listed up to four varieties) is also unclear; we don’t know which came first, or to what degree they were related. Certainly the greater St. Johns dog was first imported to England nearly a hundred years earlier, and many contemporary and modern day writers assume that the lesser was developed from the greater but we have no real evidence one way or another. Newfoundland has been used for fishing and other activities since approximately 1450 so there has been plenty of time for the development of the St. Johns dog and its varieties. From the time these dogs were first imported back to England in the early 1800s to 1885 when the combined effects of Newfoundland’s Sheep Act and Britain’s Quarantine Act shut down further importation, a handful of kennels regularly imported lesser St. Johns dogs and carefully bred them for gun dog work on their estates. These kennels include those of Buccleuch and Malmesbury, each of which imported lesser St. John’s dogs throughout the 19th century for their private lines. At about the same time, the fifth Duke of Buccleuch (1806-1884), his brother Lord John Scott (1809-1860) and the tenth Earl of Home (1769-1841) embarked on a similar but independent program. They lived within a 30 mile radius and developed the Buccleuch line. The eleventh Lord of Home (1799-1881) continued his dogs, but the line was nearly extinct about the time of his death. However, a chance meeting between the third Earl of Malmesbury and the sixth Duke of Buccleuch and the twelfth Earl of Home resulted in the older Malmesbury giving the two young Lords some of the dogs from his lines. From these dogs, given in 1882, the Buccleuch line was revitalized and the breed carried into the 20th century. Buccleuch’s Ned and Buccleuch’s Avon are generally agreed upon as being the ancestors of all Labradors. That two different kennels, breeding independently for at least 50 years, had such similar dogs argues that the Labrador was kept very close to the original St. John’s breed. Thus it is probable that today’s Labrador, of all the modern retrievers, is the most closely related to the original St. John’s dog and by extension, as closely related to the modern Newfoundland as to the other retriever breeds such as Golden Retrievers, Flat Coat Retrievers, etc. By the turn of the century, these retrievers were appearing in the British Kennel Club’s events. At this point, retrievers from the same litter could wind up being registered as different retrievers. The initial category of “Retrievers” included curly coats, flat coats, liver-colored retrievers and the Norfolk retriever (now extinct). As types became fixed, separate breeds were created for each and the Labrador Retriever finally gained its separate registration under the Kennel Club in 1903. While there have been strains of Labradors bred pure up to this time, it is unknown how many of these cross-bred dogs were folded into “Labradors” or into other breeds as the registrations began to separate. Many breeders feel that crossbreeding at this time accounts for much of the poor type that can appear today; however claims about the use of Pointers or Rottweilers can probably be safely discounted. The first two decades in the 20th century saw the formation in Britain of some of the most influential kennels that provided the basis for the breed as we know it today. Lord Knutsford’s Munden Labradors, and Lady Howe’s Banchory Labradors are among several. At this time, many dogs distinguished themselves in both field trials and conformation shows; the high number of Dual Champions at this time attests to the breed’s versatility. Labradors were first imported to the United States during World War I. 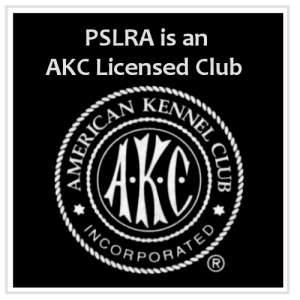 At this point, the AKC still classified them as “Retrievers;” it was not until the late 1920’s that the retrievers were split up into the breeds we know today in the AKC. 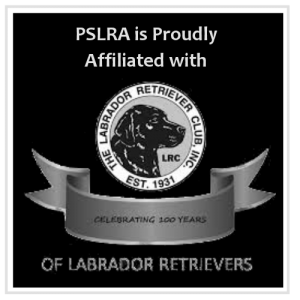 The Labrador Retriever has been used heavily in the US as a gundog; the American Labrador Retriever Club, Inc. (LRC, Inc), is to this day primarily a field trial organization, and it was instrumental in forming the AKC field trials. The two World Wars greatly diminished the breed in numbers (as it did many others). After the second World War saw the rise of the Labrador Retriever in the United States, where Britain’s Sandylands kennel through imports going back to Eng CH Sandyland’s Mark influenced the shape and direction the show lines took in this country. Other influential dogs include American Dual CH Shed of Arden, a grandson of English Dual CH Banchory Bolo, especially evident in field trial lines. This return trip to the Americas resulted in the widely expanded use of the Labrador as a gun dog. In Britain, the Labrador was, and still is, used primarily for upland game hunting, often organized as a driven bird shoot. Typically, separate breeds were used for different tasks; and the Labrador was strictly for marking the fall, tracking and retrieving the game. 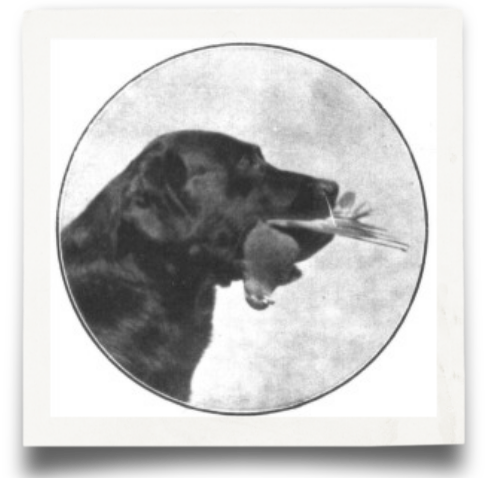 But in the United States and Canada, the breed’s excellence at waterfowl work and game finding became apparent and the Labrador soon proved himself adaptable to the wider and rougher range of hunting conditions available. The differences between British and American field trials are particularly illustrative. Copyright © 1992-2004 by Liza Lee Miller and Cindy Tittle Moore. All rights reserved.